Above is a receipt for goods sold to Frank Rittman from the G.B. Hodgman Manufacturing Company in Sandusky in 1893. 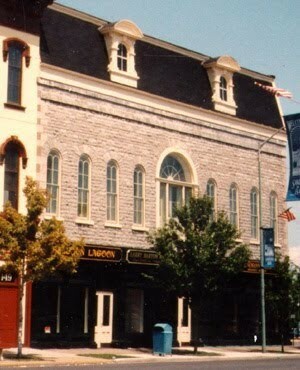 The company was located on the very eastern end of First Street along the waterfront. The G.B. Hodgman Company started out as a cooperage in the 1870s, and later became a lumber mill; it was founded by George B. Hodgman, who served as president of the organization. O.A. Knight was vice-president, and Henry Knight was the secretary-treasurer. An article in the Sandusky Register of July 30, 1881 reported that the G.B. 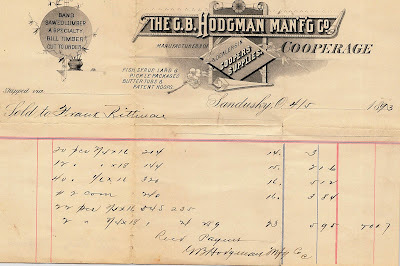 Hodgman Manufacturing Company gave constant employment to over one hundred workmen. At that time the factory sat on two acres, and had two docks for shipment of products. There was a branch factory in St. Louis, Missouri. The book History of Erie County, ed. 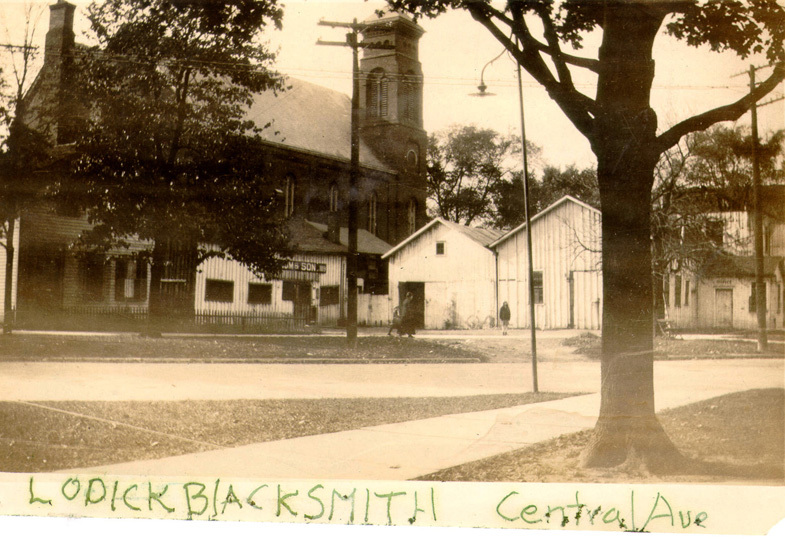 by Lewis Cass Aldrich (D. Mason, 1889) described the company as sitting on twenty acres, which included a warehouse, sawmill, band factory, cooper shop, stables, blacksmith shop and wagon shop. 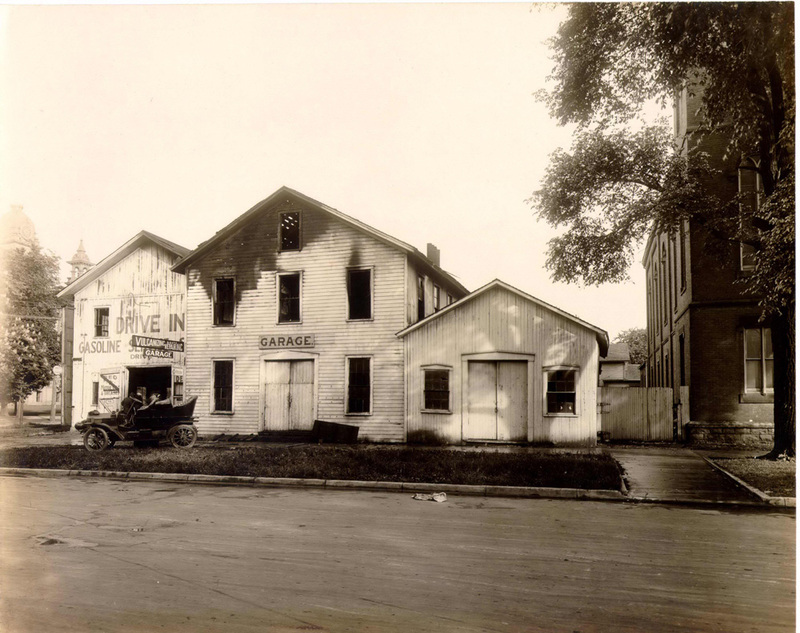 The buildings had incandescent lighting, and the company had its own generator. 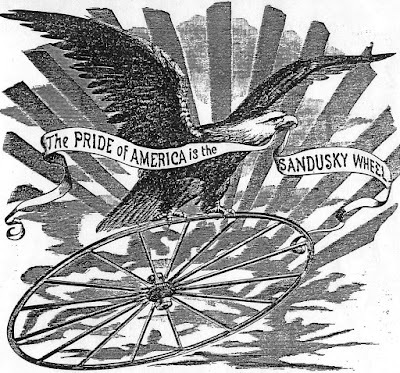 Products were shipped throughout a large portion of the United States, and the proprietors were known for “business integrity and thoroughness.” The 1890 Sandusky City Directory listed the company as a manufacturer of lumber and cooperage, specializing in fish, syrup, lard and pickle packaging. During the Panic of 1893, the G.B. Hodgman Manufacturing Company went into receivership, as did many companies throughout the United States. Mr. and Mrs. Hodgman moved to Chicago, where George worked in wood manufacturing, and later they moved to St. Louis, Missouri. 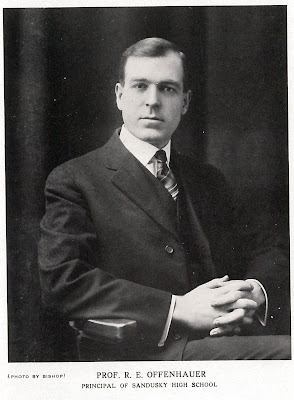 George B. Hodgman died in St. Louis on May 8, 1934. 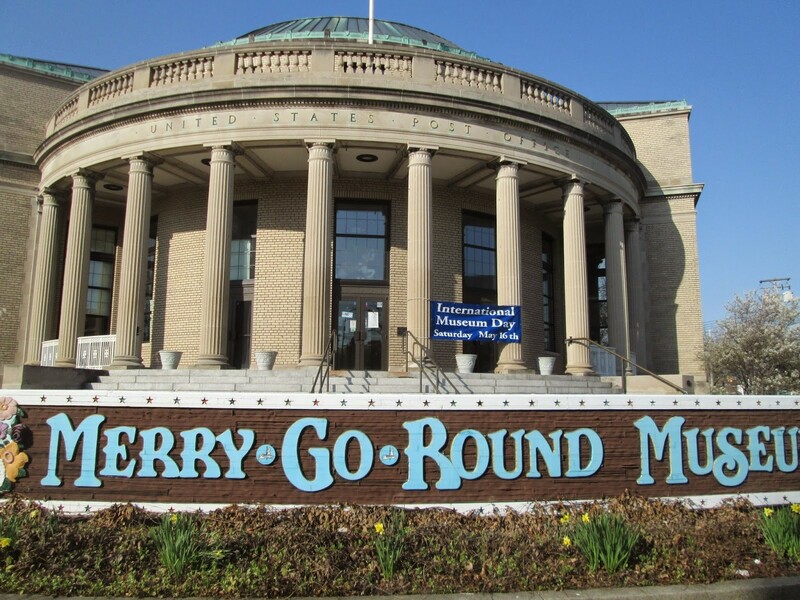 His remains were returned to Sandusky, Ohio for burial in Oakland Cemetery. 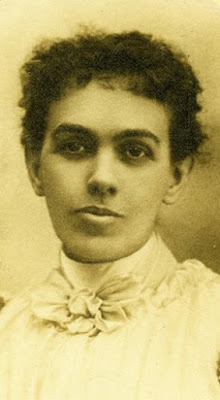 Marian Hodgman, a sister to George, was an early member of the Board of Trustees of the Sandusky Library. 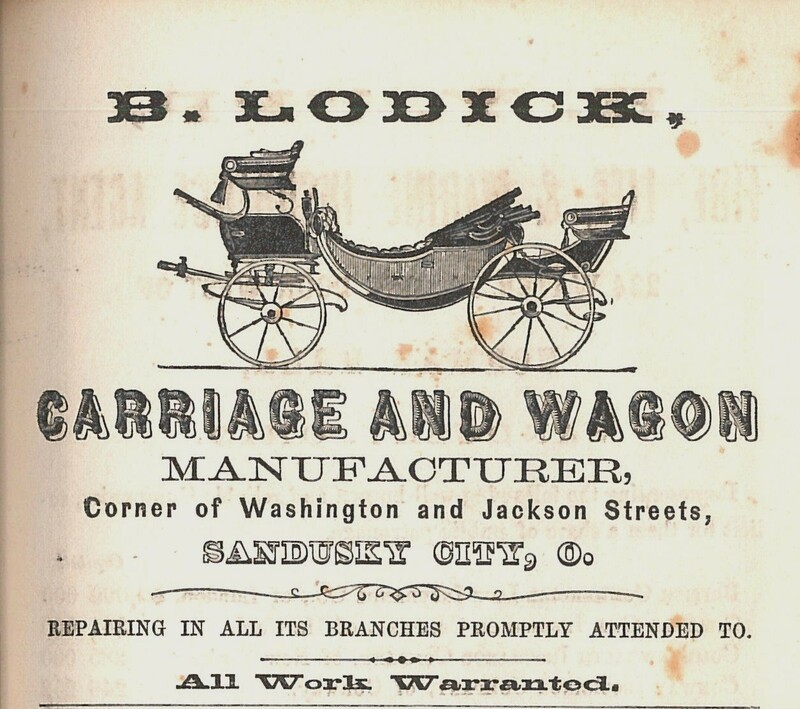 From about 1860 until his retirement in the 1910s, Bernard Lodick had a carriage and wagon shop at the corner of Washington and Jackson Streets. Mr. Lodick had several “elegantly furnished” vehicles on display at the carriage hall at the Fair, according to the September 30, 1870 issue of the Sandusky Star Journal. 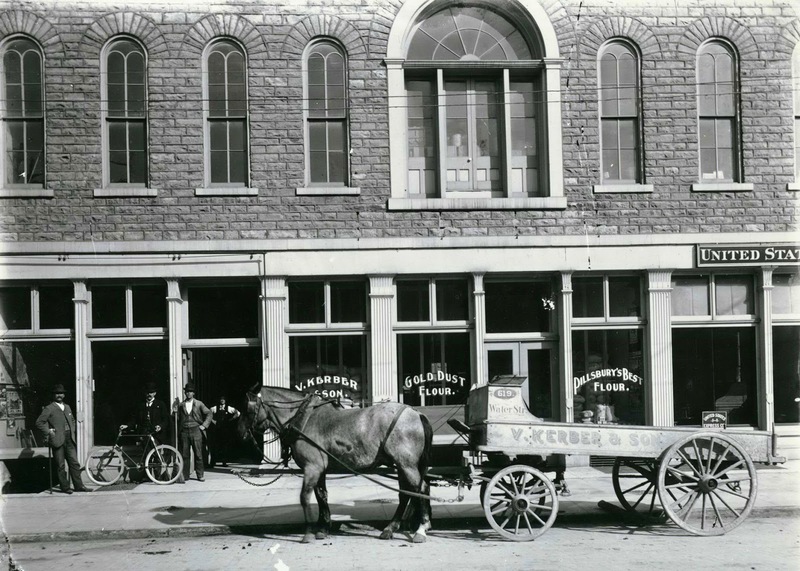 He made and repaired carriages and wagons. 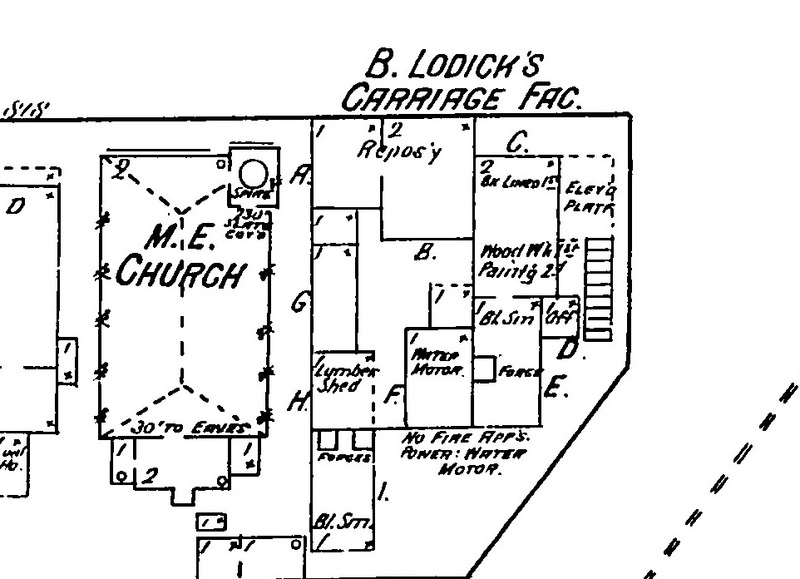 The Lodick shop was next to the old Methodist Church building, as seen on this 1893 Sanborn Map. 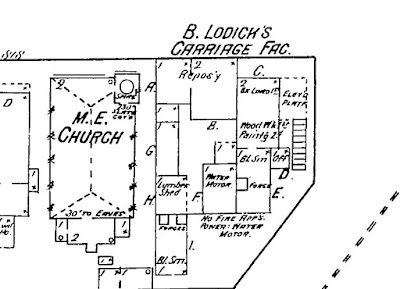 By 1911, William Thom and Son operated a horseshoeing business at the former Lodick Carriage Shop. 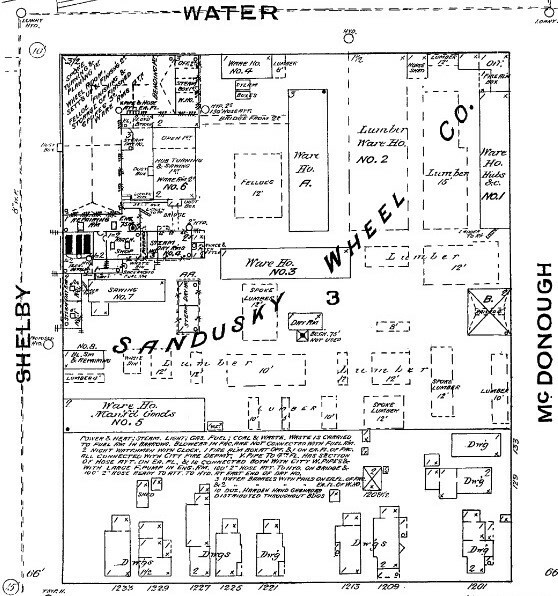 In 1916 and 1917, there was a garage at the same location, run by the Sandusky Motor and Vulcanizing Company. 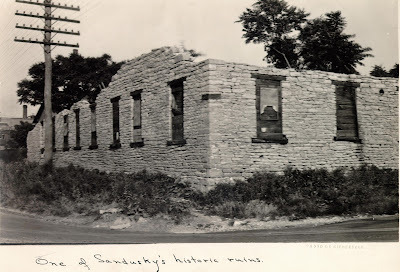 A news article in the March 25, 1916 issue of the Sandusky Star Journal reported that the former Lodick site was favored for the construction of a new Post Office building. 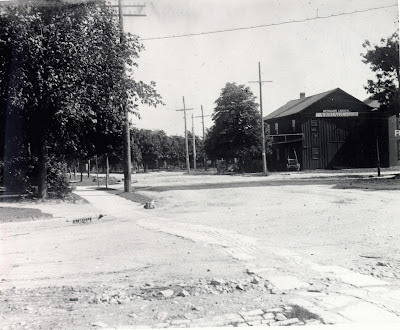 Ground was broken for the new Post Office on November 1, 1925, and the new Post Office officially opened in March of 1927. The former Post Office is now home to the Merry Go Round Museum. 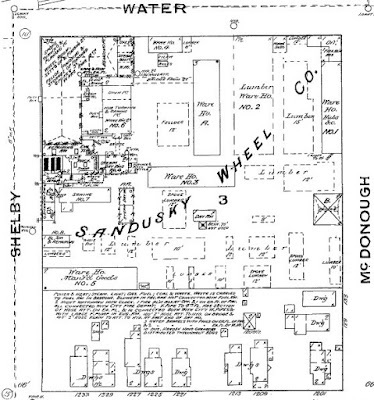 From 1909 to 1914, Roy E. Offenhauer was Principal of Sandusky High School. 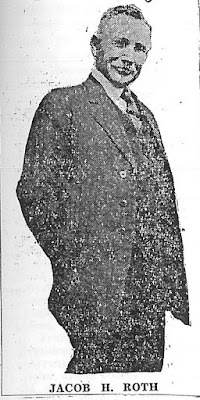 In 1914 he was named Superintendent of Sandusky City Schools, a position he held for four years. 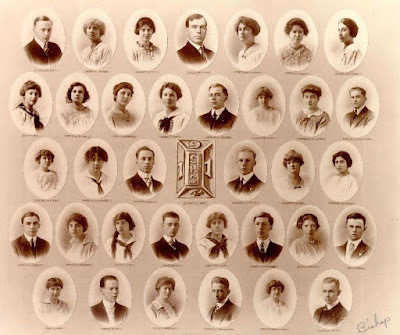 Mr. Offenhauer is pictured in the center of the top row of the composite picture of the Sandusky High School Class of 1914, by W.A. Bishop. He received his Bachelor of Science degree from Marion Normal College (in Indiana) in 1903. In 1917 He received a Master of Arts degree from Columbia University. In 1932 he obtained a degree of Doctor of Pedagogy at Ohio Northern University. Before working in Sandusky, Mr. Offenhauer taught in the Mercer County School system, served as superintendent of Mendon School, and was principal of Mount Vernon High School. After leaving Sandusky City Schools, he became principal at Lima Central High School. In 1937, he became the second president of Bowling Green State University. Sadly, Roy E. Offenhauer was killed in an automobile accident in December of 1938. (After his unexpected death, another former Sandusky educator, Frank J. Prout, was named President of Bowling Green State University, the third consecutive Sandusky Schools Superintendent to hold the position.) Offenhauer Towers, residence halls on the campus of B.G.S.U., are named in his honor. Staff members of the Ohio Soldiers’ and Sailors’ Home, now the Ohio Veterans Home, are pictured above in 1915. Doors were first opened to the Home in Erie County, Ohio on November 19, 1888. The first person to be buried at the Ohio Soldiers’ and Sailors’ Home Cemetery was Levi Drummond, who died on January 3, 1889, at the age of 47. He had served in Company F of the 57th Ohio Infantry during the Civil War. 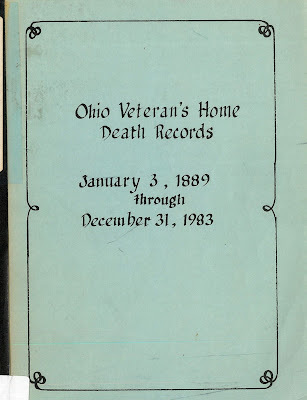 As part of a Cemetery Census project undertaken in the 1980s, members of the Erie County Chapter of the Ohio Genealogical Society collected data from the Ohio Veterans Home. 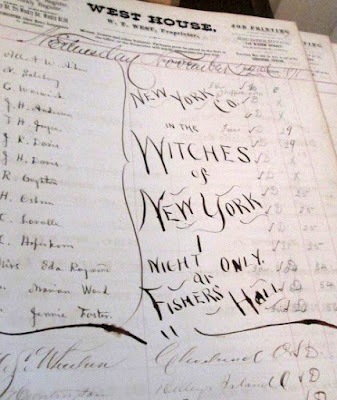 This resulted in a compilation of brief death records of hundreds of residents who died at the Home from January 3, 1889 through December 31, 1983. Many volunteer hours were devoted to getting this compilation completed. Over 7,000 death records were abstracted during the compilation of these records. 3,528 were buried at the cemetery on the grounds of the Ohio Veterans Home, and 393 were buried elsewhere in Erie County. The rest of the Veterans were buried outside of Erie County. 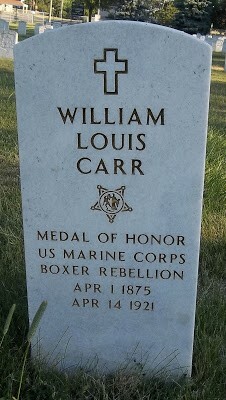 Below is the listing for William L. Carr. 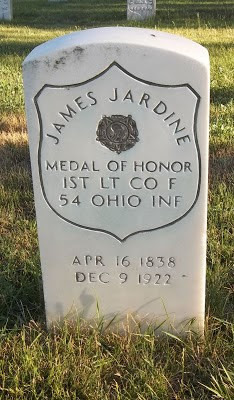 James Jardine served in Company F, 53rd Ohio Infantry during the Civil War. He was awarded the Medal of Honor for gallant service at Vicksburg, Mississippi on May 22, 1863. First Lieutenant Jardine died on December 9, 1922. If you have ancestors who resided at the Ohio Soldiers’ and Sailor’s Home, visit the Sandusky Library to learn a few more facts about your military ancestor in the Ohio Veterans Home Death Records publication. According to article 23 in From the Widow’s Walk, by Helen Hansen and Virginia Steinemann (Follett House Museum, 1991), the stone cottage that once stood at 115 West Monroe Street was built from local stone to provide housing for local quarry workers. In the early days of the city, there were quarries on both East and West Park Streets. Lucas Beecher originally owned the property. Mr. Beecher sold the property to Felix Breen, a stone mason, who lived in the cottage for over thirty years. The son of Felix, James Breen, sold the property to John Gottlieb Epple. Mr. Epple rented the stone cottage out to the William McCudden family in the first half of the twentieth century. 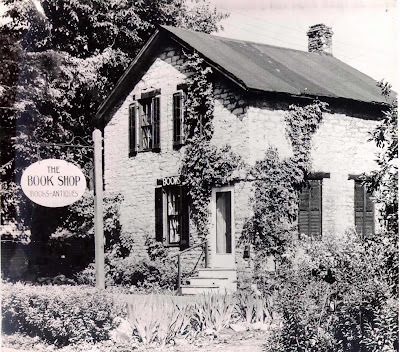 From about 1950 to the early 1960s, Carl and Jane Miller rented the cottage from Frederick Epple, and they ran The Book Shop at that location. Eventually, they sold antiques as well as books. In 1963 all the structures that had once stood at the northwest corner of Columbus Avenue and West Monroe Street were demolished and the property was given to the city of Sandusky. 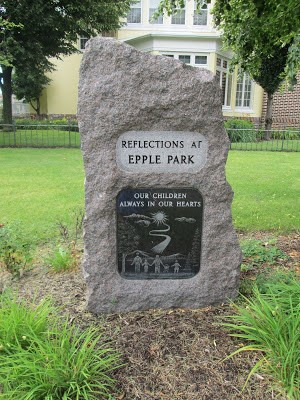 Epple Corner Park is now a part of the city of Sandusky’s Park system. 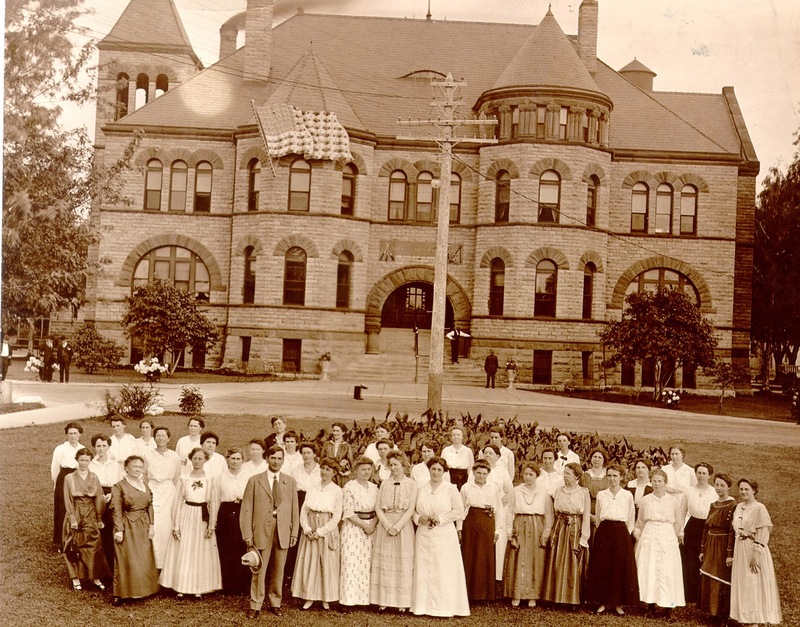 After working as a gardener for the city of Sandusky for a few years, on September 3, 1897 Jacob H. Roth was appointed superintendent of parks, a position he held until his retirement on January 1, 1940. He was born in Germany in 1869, and studied gardening at Heidelberg University in Germany, though he did not graduate from high school. He emigrated to the United States as a young man, and on May 22, 1895, married Christine Hacker. They had two children, Helen who died in 1926, and Ferdinand, who died in 1938. In 1930, Jacob H. Roth achieved some local fame by crossing a lemon with a grapefruit; the result was a fruit that was larger than an ordinary lemon, but smaller than a grapefruit. The “synthetic lemon” was a big attraction at the city greenhouse’s “Mum Show” held in November of 1930. 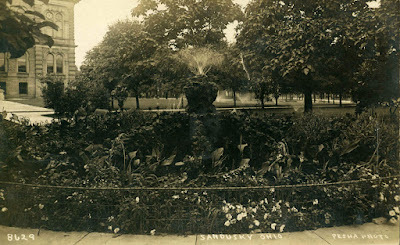 Mr. Roth made news in the April 27, 1933 issue of the Sandusky Register, when he caught four youngsters, all about the age of ten, trampling flower beds in Washington Park. He marched all four of the youths to the Sandusky Police Station, where Sergeant Al Tremper gave them a lecture. Since the boys promised to stay away from the flower beds in the city parks, Sergeant Tremper let them go to enjoy the rest of the day. Sergeant Tremper was impressed that Mr. Roth not only caught the boys, but none of the young men escaped on the walk to the police station. 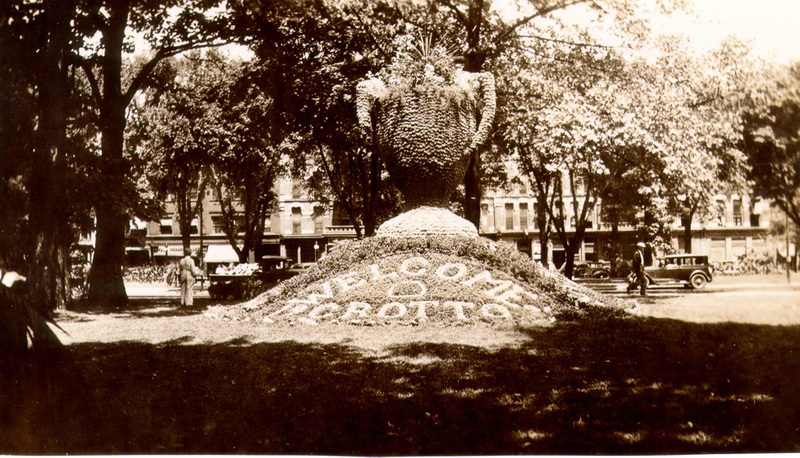 In 1936 a highlight of Washington Park was a fifteen foot loving cup, made from over 14,000 plants. When it was announced that Mr. Roth would be retiring soon, Sandusky City Manager, R.L.J. Wagar said, in part, “Under Jacob Roth our parks have been one of our main attractions for drawing people to Sandusky and a constant joy for all of us to behold and we cannot afford to let the parks be neglected in any way when Jake leaves us.” Indeed, the city parks of Sandusky are still a beautiful asset to our city. Jacob H. Roth died on April 9, 1948. He was a member of St. Stephen’s Evangelical and Reformed Church, and the Woodmen of America. He was survived by his widow Christine, and two granddaughters. Burial was in Oakland Cemetery. Below is a picture postcard of Washington Park, taken during the time that Jacob H. Roth served as superintendent of the parks of the city of Sandusky. 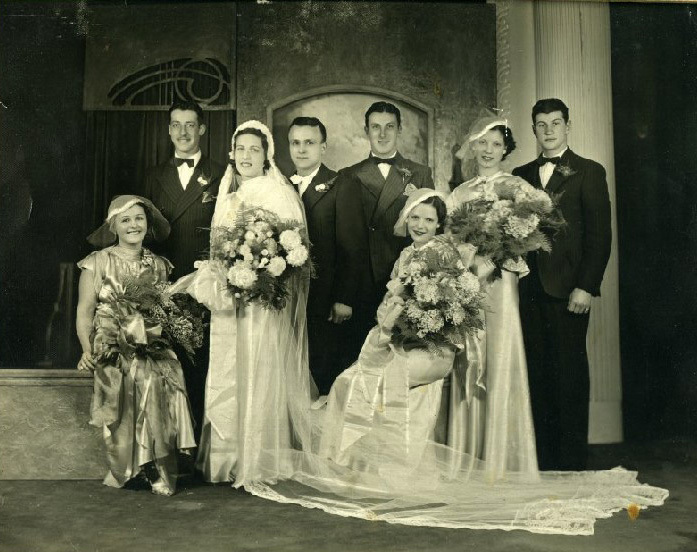 On November 1, 1936, Miss Louise Vigiletti and August Corso were united in marriage at St. Peter’s Catholic Church in Huron, Ohio. Father Urban Burkhart officiated. An article in the November 8, 1936 issue of the Sandusky Register reported on the occasion. 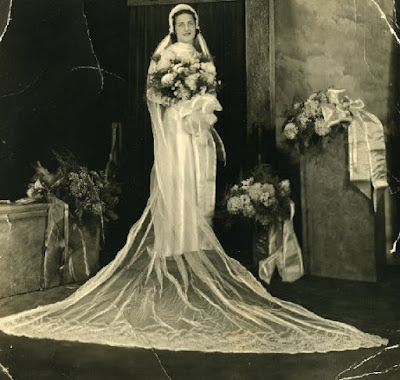 The article described the bridal gown of Louise: The bride, who was given in marriage by her father, wore a white satin gown, princess style, with a long train and a crown-effect veil. Her bouquet was an arrangement of white chrysanthemums. The newspaper article provided the members of the bridal party. Miss Margaret Corso, sister of the bridegroom, was the maid of honor. Bridesmaids were Ruth Pole and Ellen Girardi. Anthony Mussel served as best man, and Harry Vigiletti and Joseph Lolla were the ushers. A wedding breakfast was held at the home of the groom’s parents, Mr. and Mrs. Philip Corso, of Sandusky, Ohio. 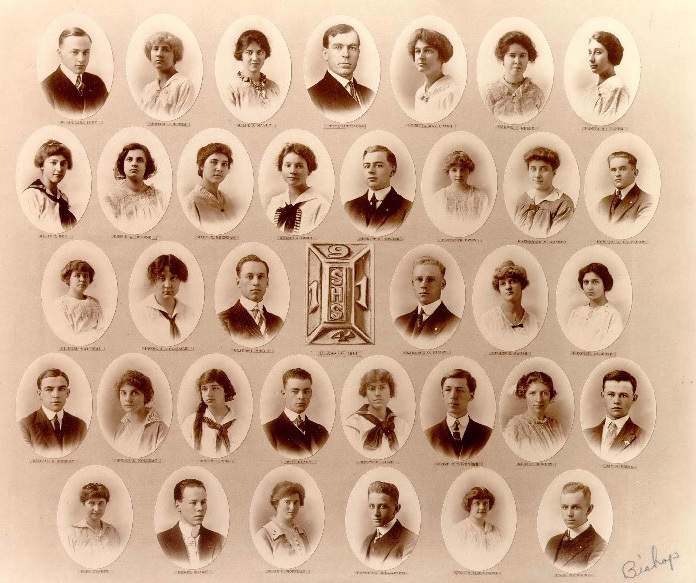 Following the wedding a dinner was served at the Hotel Rieger with forty guests attending. A wedding reception was held at the Eagles Hall in the evening. The new Mr. and Mrs. August Corso went on a brief wedding trip, and then returned to their home on Shelby Street in Sandusky. 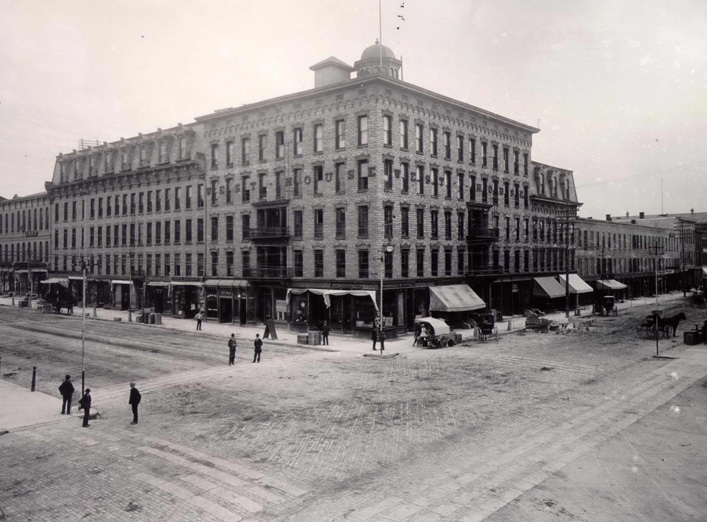 August J. Corso was a longtime employee of New Departure-Hyatt. He died at the age of 81 in 1995. Mrs. Louise Corso passed away in 2010 at the age of 95. Both Mr. and Mrs. August J. Corso were buried at St. Joseph Cemetery in Sandusky, Ohio. Their son, Larry Corso, was a standout football player at Sandusky High School, graduating in 1957.